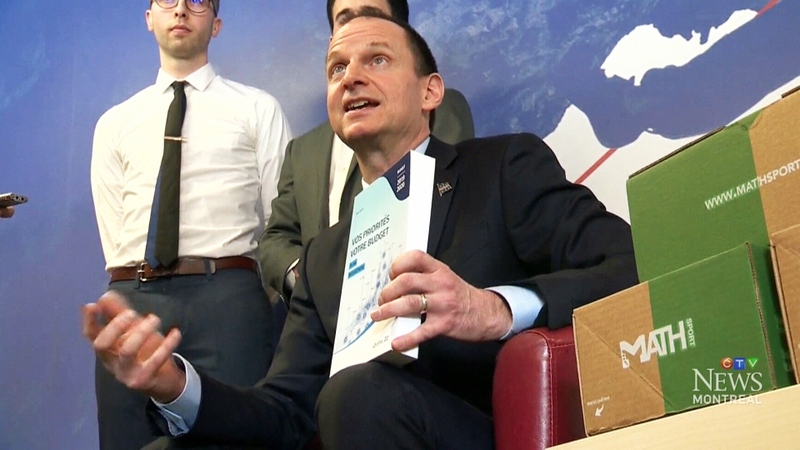 Balanced books for the fifth straight year in Quebec, with a forecast surplus of $2.5 billion on total revenue of $115.6 billion, including $24.9 billion in federal transfers. The surplus will go to a fund aimed at lowering the province's debt. Estimated gross debt of $200.8 billion as of March 31, 2019. That represents 46.1 per cent of gross domestic product, continuing a downward trend from a peak of 54.3 per cent five years ago. Expected economic growth of 1.8 per cent in 2019 and 1.5 per cent in 2020, down from 2.3 per cent in 2018. Increase in overall spending of 5.0 per cent, with health and social services (5.4 per cent) and education (5.1 per cent) accounting for most of the increase. Gradual elimination of daycare surcharge introduced by previous government, affecting 140,000 families this year. It will be eliminated in 2022, saving families a total of $185 million a year. Reduction in school taxes over three years with the goal of reaching a single rate across the province, based on the lowest current rate. The cost to the province is set at $200 million in 2019-20. Additional funding of $280 million a year as of 2019-20 in home care for seniors. A $1-billion spending envelope to support so-called strategic businesses and retain head offices in the province. First step toward universal pre-kindergarten for four-year-olds, with 250 classes added as of September 2019 and $1 billion budgeted over five years. A plan to add an extra hour to the high school day for sports, arts and homework help, which will begin in 140 schools this year. The program will cost $21 million in 2019-20, rising to $124 million in 2021-22.